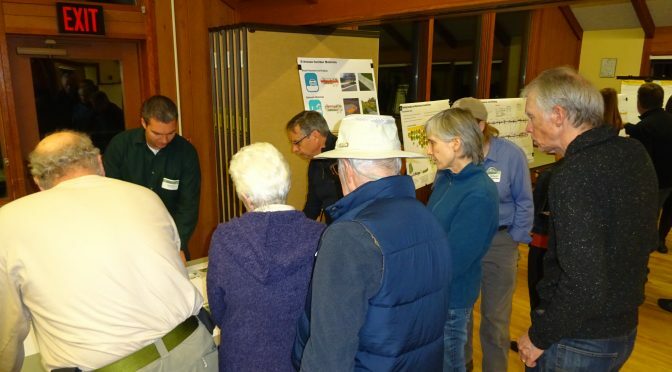 On Thursday, October 26, the City and project team held the second public Open House for the project. 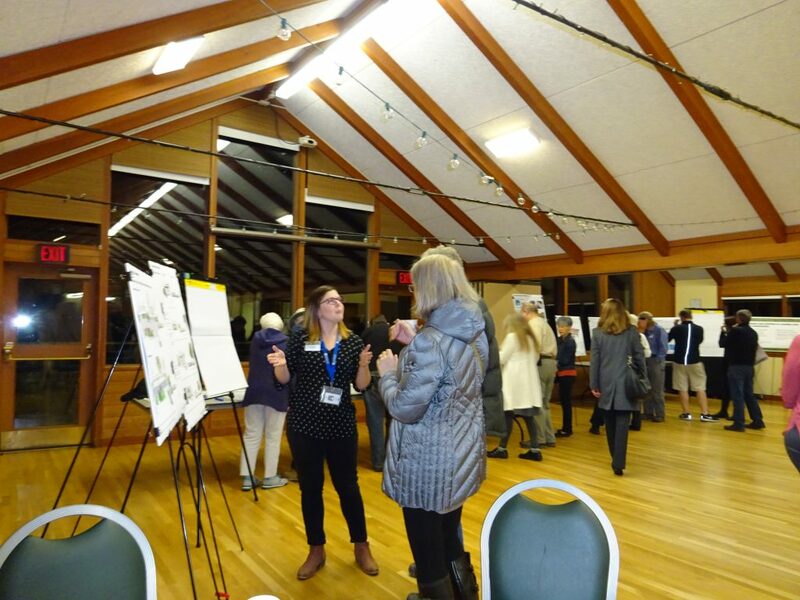 About 55 people attended the event, providing feedback and comments on the 60% design details for the stormwater, pedestrian and pavement improvements on D Avenue. 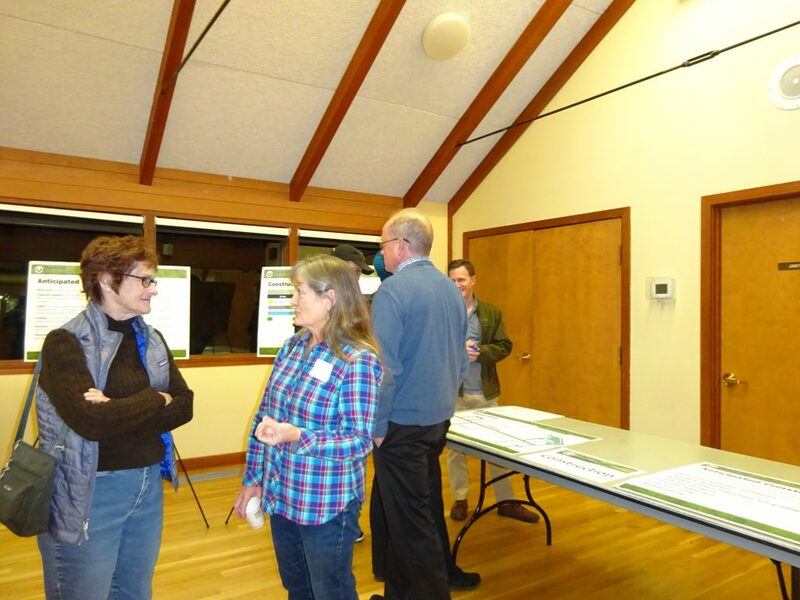 The open house included information and graphics on the location of improvements (road, sidewalk, parking, stormwater features) within the right-of-way, landscaping, stormwater management, and general construction issues and schedule. Thank you to everyone who attended. 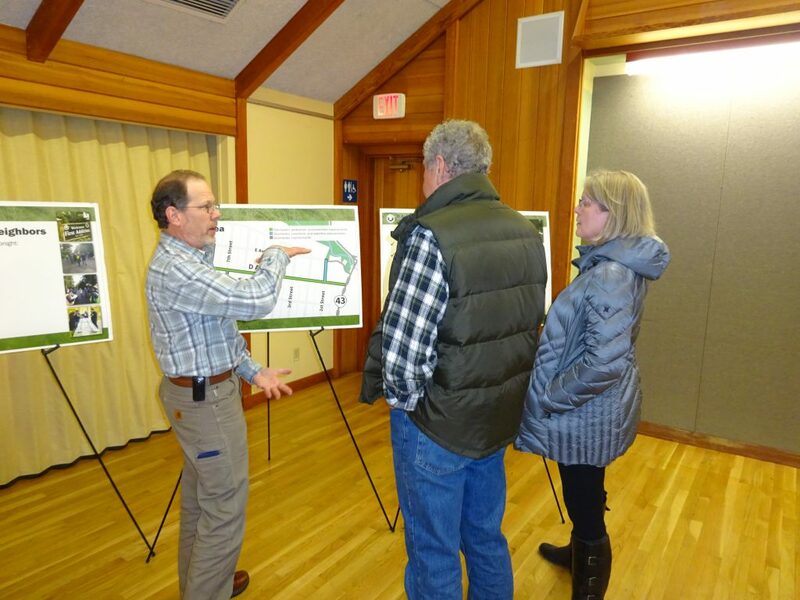 We appreciate your enthusiasm and participation in the project, and for sharing your thoughts about the current designs for D Avenue. A meeting summary is available here. If you who were unable to attend the open house, the displays, graphics and boards presented are available on the materials page of the website. Please note, these are not final designs – these are the 60% level. Using the latest feedback, comments and some additional field information, the project team is now refining the design details. 90% designs are expected to be complete in the next month. Construction is expected to begin in spring 2018, with varying activities taking place throughout the corridor into late fall 2018. Depending on weather and other variables, the final paving and plantings could shift to spring 2019. Preliminary information about construction, duration and expected impacts is outlined here. More construction information will be shared in the coming months, as the design is finalized. 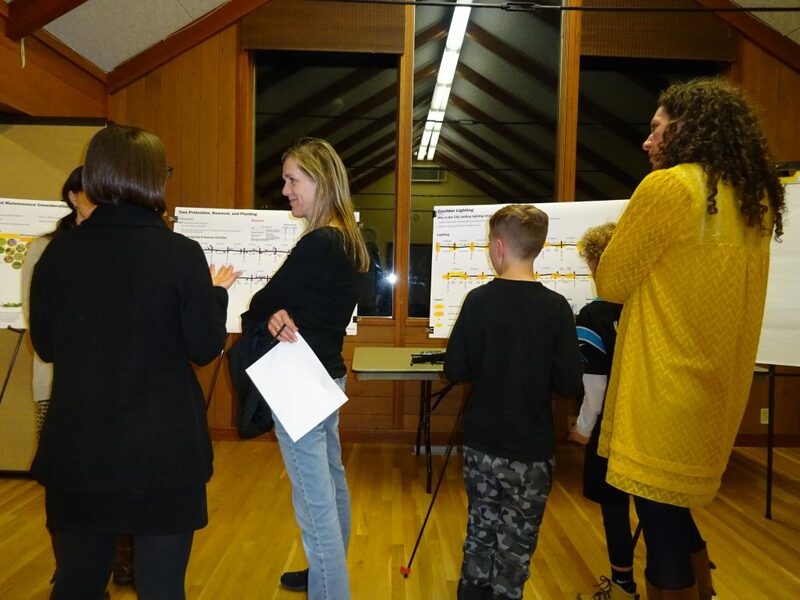 Next week, on November 7, the project team will be providing an update to City Council. Starting on Tuesday, November 7, crews will be conducting exploratory digging (potholing for utilities) along D Avenue, between State Street and 10th Street. This is to help with finalizing design details for the project. Work hours are 7 a.m. – 6 p.m., Monday through Friday. This work is expected to be complete by Friday, November 10. Brief lane closures will be in place during work hours, as crews work their way along D Avenue. 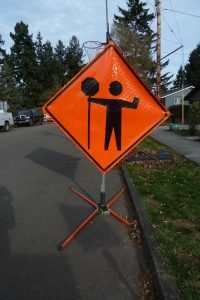 Please watch for flaggers or signage to help direct you around the work zones.